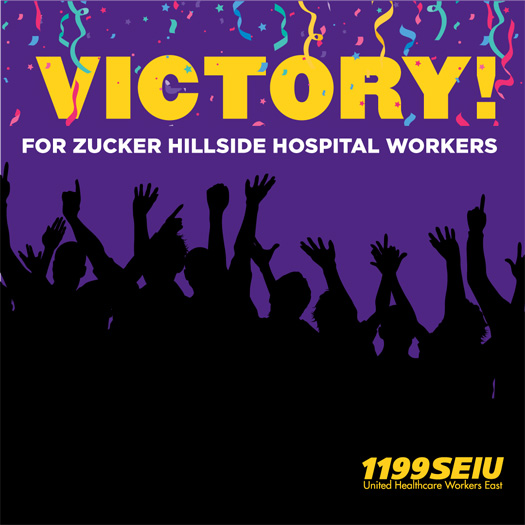 This week we welcome more than 50 new members at Zucker Hillside Hospital in Queens into the 1199SEIU family. The Recovery Counselors, Activity Specialists and Care Managers voted almost unanimously, by 44 to 3, to join 1199 on October 30th. 1199SEIU is the largest healthcare workers’ union in the US, with more than 430,000 members in five states along the Eastern seaboard. We are one of the fastest growing unions in the country. As well as having a larger say in their working lives, the newest members at Zucker Hillside voted to join our union to enable them to negotiate a legally-binding contract with benefits such as 1199’s child care, job security, affordable quality healthcare and continuing education.